Tyler Sheff | Entrepreneurship – Tyler Sheff and the Cash Flow Guys talk real estate, investments, and entrepreneurship. Want Know Tyler Sheff? Listen to “Last Mango in Paris” from Jimmy Buffet, it defines me to the “T” no pun intended. It is as if Jimmy knew Tyler Sheff. Live every day as if it your last, have no guilt, and never regret. If opportunity presents itself, seize it, if not, chase and own it. Tyler spends a great deal of my time learning about people, things, ideas, history and how to improve life for myself and others. Tyler really get a kick out of helping others realize their dreams and feeling better about themselves. Tyler Sheff enjoys life in Tampa Florida, he is an avid sportsman to include fishing, hunting and scuba diving. Tyler enjoys being around people and having great conversations about any subject. 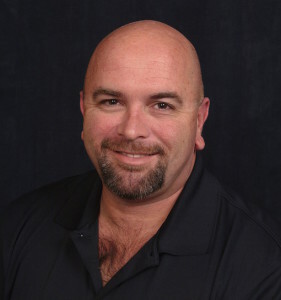 Tyler Sheff is a US Army Gulf War Era Veteran, originally earned his Florida real estate license back in year 2000, he concurrently owned and operated a trucking business, worked as a local Police Officer, Charter Captain and Chief Boatswain aboard a US government research ship. In October, 2014 he decided to renew his real estate license in October 2014 in order to supplement his income while helping others learn about real estate investing. Tyler has spent the last few years of his free time learning about investing in real estate. Tyler finds that he truly enjoy teaching others and watching them learn.